BrainRank Machine learning. Google explains the machine like speech recognition (MI): a computer that analyzes large amounts of data to recognize patterns and “learn” from them. In a dynamic environment like Google’s data center, it can be difficult for humans to see how all of the variables—IT load, outside air temperature, and the link.—interact with each other. One thing computers are good at is seeing the underlying story in the data, so the information we gather in Google daily operations and ran it through a model to help make sense of complex interactions that the team—being mere mortals—may not otherwise have noticed. To keep the BrainRank machine, who wants to replace humans, running at its best. Google explains this simplified version of what the models do: take a couple of data, find the hidden interactions, then provide recommendations that optimize for efficiency. –The model is able to predict PUE2 within a range of 0.004 + 0.005 , or 0.4% error for a PUE of 1.1. 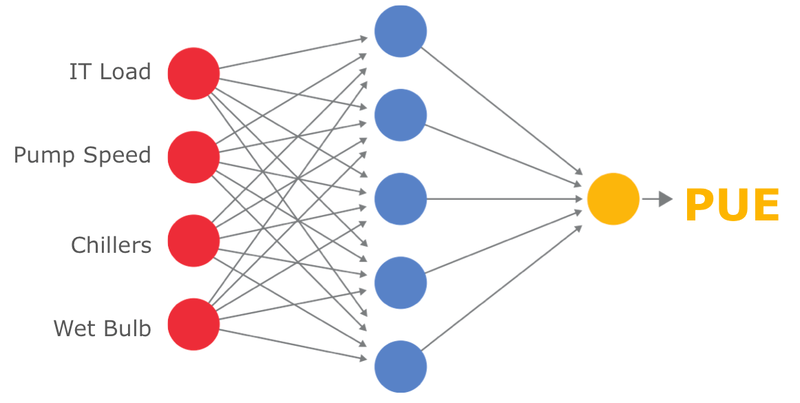 If you want to learn more about what is the new classical algorithm google search launched recently, please check this article: What is Google BrainRank? If you want to take a 360 tour of Google’s Data Center make sure to use your Google Cardboard for better viewing expeirence.